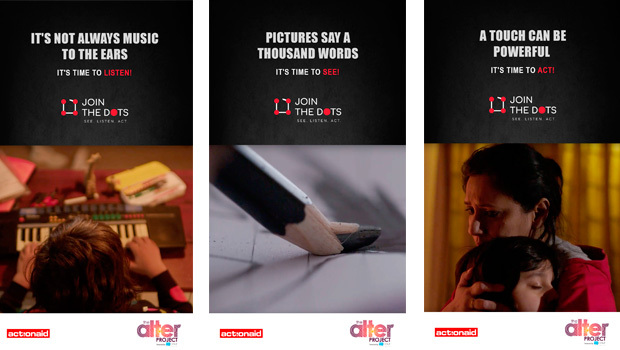 ActionAid India, an agency working with vulnerable communities, has launched #JoinTheDots, a campaign to highlight child sexual abuse, in partnership with WATConsult, a digital agency from Dentsu Aegis Network's bouquet. The campaign is conceptualised and executed by ‘The Alter Project’, WATConsult’s latest vertical, dedicated to public service campaigns. 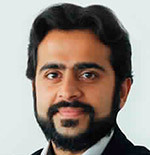 The launch of the project is a part of the agency’s 12th-anniversary celebrations themed 12 Notches Higher. The campaign aims to prevent incidences of abuse as well as encourages adults to address such violence with a call to action to ‘See, Listen and Act’. The campaign video launched digitally opens with a mother’s narrative, showcasing a strong bond with her son, threaded together by their intimate and candid moments. It further highlights subtle signs of behaviour change in the child that parents unintentionally tend to ignore, considering it normal. The film points out that the behavioural signs of a sexually abused child can be very similar to the signs caused due to other conditions or stress, physical or mental. It emphasises that these signs are all present around us and adults just need to spot them and address them in time. Parents and guardians have to encourage a culture of regular communication with their child and be vigilant to acknowledge hints. This would help prevent or tackle any incidences of abuse, with the child’s best interests in mind. To make the same simpler, the campaign video leads to a ‘Conversation Starter Tool’ on the website: www.jointhedotsnow.com. The tool enables an interestingly active conversation between a responsible adult and the child in her/his care. Through the tool, the child can speak about the different worlds she/he inhabits, every day, and what she/he experiences and feels in these worlds. The conversation would also help the adult to invite the child into their world so that children can also learn about the emotions and feelings that adults might have. Through these conversations, the adult will be in a better place to understand the emotions of the child, helping the adult to always act in the best interests of the child. Government data shows that every 15 minutes, a child is sexually abused in India. Boomlet Media, a content marketing agency, also came on board as supporting partners for this campaign. ActionAid has been able to make a positive impact on ensuring good quality public education accessible to all children, and ensure that the laws prohibiting child marriage are strengthened and the laws against child labour are made stringent.